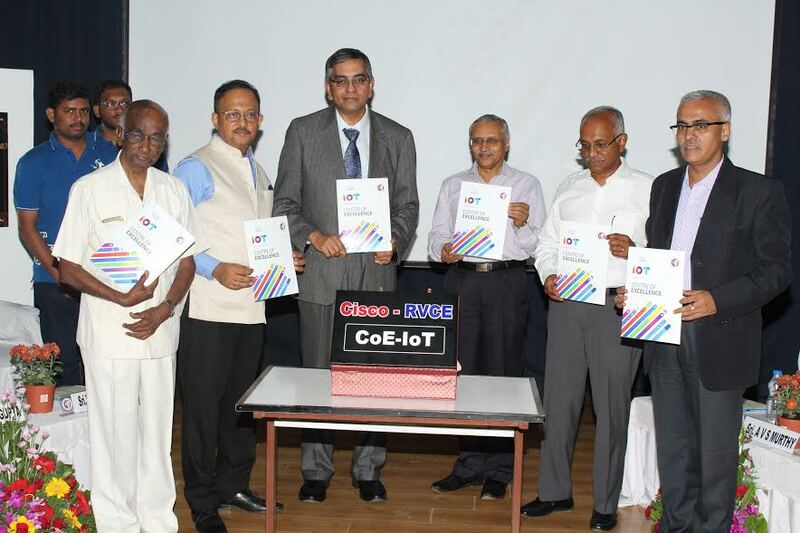 Bangalore: RV College of Engineering (RVCE) and Cisco today announced the launch of a Centre of Excellence (CoE) fin Internet of Things (IoT) to give the next generation of students the digital skills and training necessary for 21st century jobs. The CoE, located at the RVCE campus in Bengaluru, was inaugurated by Sri Gaurav Gupta, IAS Principal Secretary, Department of IT, BT and S&T, Govt of Karnataka, along with Mr. VC Gopalratnam, SVP-IT and CIO – International, Cisco. Over the next five years, the Centre will provide a specialized curriculum preparing up to 10,000 students from 50 colleges across Karnataka for careers in the digital economy and help India increase its pool of highly skilled technology professionals. The Centre will also support the training and reskilling of mid-career professionals in the private and government sector. In line with its mission to create excellence in education with societal commitment, RVCE faculty will work to inspire and educate thousands of students and working professionals and sharpen their skills to prepare them for technology based careers. The specialised curriculum will comprise live and video-based learning and involve the application of technologies to real issues in collaboration with local industry and government bodies. Experts from RVCE will complement this curriculum and deliver training on digitisation and IoT and encourage innovation in industries including transportation, energy, agriculture and manufacturing. The Centre will offer several technology courses ranging from one to four weeks to six months to a year tailored to suit the requirement of students and working professionals. Short-term courses will be available on weekends and evenings during the week. On completion of the course, students and working professionals will receive credential certificates jointly given by RVCE and Cisco. India is the youngest start-up and developer nation in the world, with 72% of the founders less than 35 years old and the average developer less than 29 years old. India is projected to have the world’s largest number of developers by 2018.